What Value! What Variety! What Choice! Well, there’s a store in Lichfield that you might not have heard of. What is its name. That’s not a question, it’s actually called What! You might not have noticed it because it’s hidden at the back of the town centre, opposite the Lombard Street car park (on the site of the old Carol’s store for those of you who have been around a few years). What! is a treasure trove; an Aladdin’s cave of all the things you could ever want, and more. The prices are fantastic too, often half the price you’d pay in other stores, so you can have a happy afternoon’s shopping and save a fortune at the same time. Owner and manager Dave has a simple philosophy: stock what customers are asking for, keep the quality high and the margins low – and sell lots. It works; there’s always something new in store and plenty of special offers, making every visit a voyage of discovery. What! is open every day from 9.00am ‘til 5.30pm and 10am ‘til 4pm on Sundays. What! are you waiting for? Drop in and pick up a bargain. You’re guaranteed a friendly welcome and Value, Variety and Choice every time. This article featured in Recommended Lichfield magazine delivered to over 16,000 in Lichfield and the surrounding areas every 3 months. 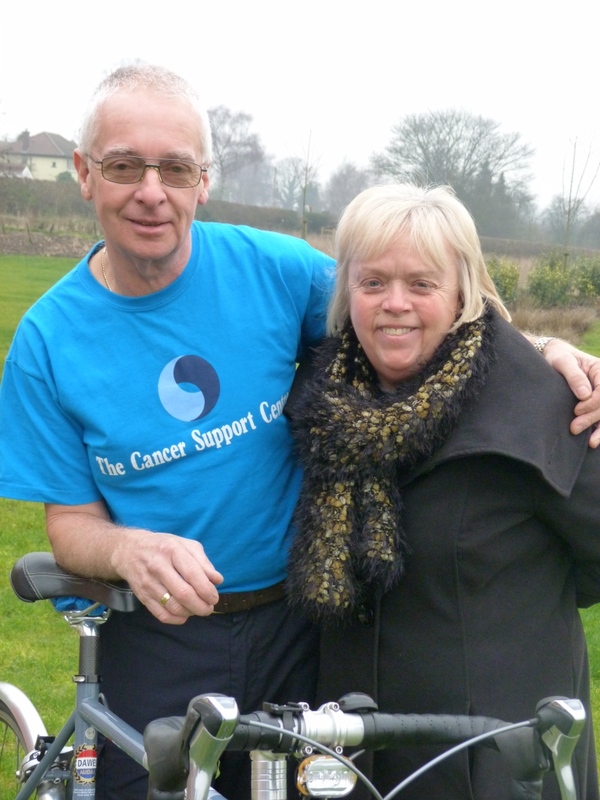 Local man Derek Wilson, of Sutton Coldfield, will be undertaking a mammoth 1,100 mile cycling challenge in May 2012 in order to raise funds for the Cancer Support Centre. Derek will be setting off from Lands End, Cornwall on May 5th and will then cycle an average of 74 miles a day aiming to reach John O’Groats, Scotland 15 days later. The Cancer Support Centre has a whole host of activities and events that people can join in with and is in particular looking for runners for the Great Midlands Fun Run to support the Centre. For more information about how you can help The Cancer Support Centre and local people living with cancer call Ann Mckeown on 0121 378 6296 or email fundraising@suttoncancersupport.co.uk for details of the latest activities. Walmley Pages has been serving the local communinity in Walmley, Sutton Coldfield for 6 years. Promoting local businesses, events and news. Special thanks were given to Jeff Gilbert of Jeff’s Useful Shop who contributes an article each month, most of which will put a smile on your face although some have more serious content. Jeff is keen to promote our local parks and nature reserves in Sutton Coldfield and encourages us to appreciate the flora and fauna. The ethos at Walmley Pages is Run by Local People For Local People. Anyone wishing to contirbute an article, charity event or advertise can contact the editor Richard Barnes on 0121 351 6513. So me pundits are predicting a 21% rise in house prices over the next five years. This isn’t a particularly drastic increase, less than 4% a year, but any news of an improvement in the property market is good news. And now Zoopla, the property website, has come up with a tool to help you make the most of a rising market. It is in the form of a heat map which shows areas with comparatively high house prices, property hotspots, in red and those with low prices in blue. In between the two extremes are shades of orange and yellow. The idea is that you zoom in on an area you are interested in and identify the hotspot areas marked in red. What you are looking for is a yellow or even blue area that lies between two or more red hotspot areas. In theory, prices in this area should be pulled up by its more expensive neighbours – in other words you have just identified the next up and coming neighbourhood. There are a couple of problems with the system. The closer you zoom in, the less accurate it becomes, because you might have a single house that sold at a very high price and that distorts the average house price in the surrounding streets. The other problem is that you can’t look at a particular street – only a group of streets in an area. Also, the map might be reflecting sales prices as they were 2 or 3 years ago. Even so, this is a very useful tool for identifying areas worthy of closer inspection. If you pick out a few streets in the area you are interested in, you can then go onto the Land Registry website, put in each street name and look at individual house sales on each street over the last few years. Buying a house is not just about finding a home; it is also one of the most important investments you will ever make. Choose wisely!